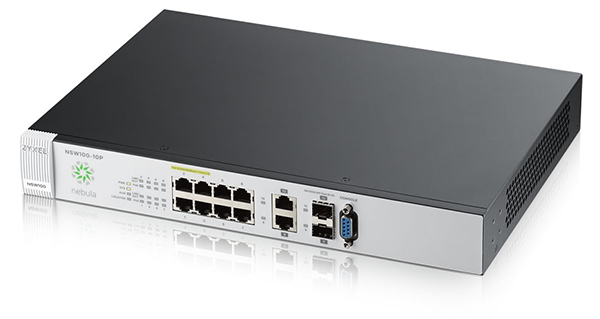 The Zyxel Nebula NSW100 Series Cloud Managed Switches provide Layer-2 Gigabit access switching with 8/24-port PoE and non-PoE models. The PoE models support 802.3at PoE Plus standards to provide a 180/375-watt highpower budget. Every Nebula switch is designed to be managed completely from the Nebula Control Center. The cloud-based management interface provides site-wide configuration and monitoring of all ports, which allows multiple switches to be configured at the same time with a single click over the Web. 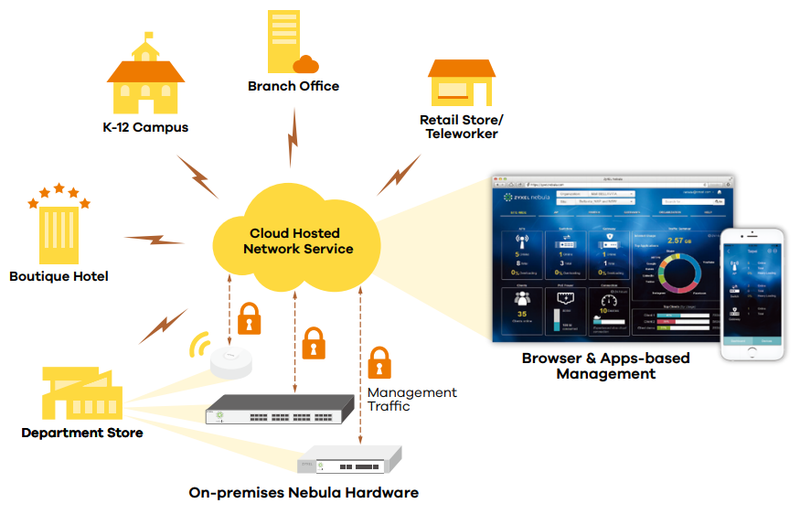 The Nebula switches bring many benefits of the cloud management systems, such as simplified configuration, easy management, site-wide visibility and real-time control for speedy branch network deployments into networks. Advanced settings such as user friendly ACL, VLAN-based QoS and PoE scheduling significantly improve the efficiency of network management. The Zyxel Nebula Cloud Managed Switches support plug-and-play installation through remote provision with simple steps. Every Nebula Switch automatically downloads the current network configuration to the device and enables auto-provisioning without the need for on-site network professionals. Quality-of-service (QoS) functionality is essential for applications that require guaranteed quality for stable connections. The Zyxel Nebula PoE switches offer a smarter way for optimizing quality of service, which enables administrators to specify VLAN configuration with different priorities directly. This means that administrators can assign a priority to a specific VLAN through Nebula Control Center, and this priority can be applied to all tagged traffics for a specific VLAN. Traffics of the higher priority VLAN will receive preferential treatment and are serviced before VLANs with lower priorities. The same mechanism applies to voice VLAN configuration as well. Unlike normal switch hardware design with Electrolytic capacitors (E-cap), the Zyxel Nebula Cloud Managed Switches adopt solid capacitors to get rid of drying out, bursting and leaking problems. Solid capacitors ensure Nebula switches with longer lifetime, high stability and robust operation. Download the Zyxel NSW100 Series Data Sheet (PDF).